His real name is Johannes Sigmond. His stage name is Blaudzun. Who is this guy and where did he come from? Well, he’s Dutch so I guess he came from the Netherlands, but where did he really come from? For all those (like me) who don’t keep tabs on the Dutch music scene, it might seem that the musical stork simply dropped him out of the sky one day – a black-haired, black-bearded, hipster Dutch baby with giant glasses. He looks interesting. He sounds interesting. This is his U.S. debut but it’s also his third album. He has kind of a dark, folk rock sound and a voice that quivers, cracks, and slides from a low power to a fragile falsetto. I’ve heard he sounds like Arcade Fire. I wouldn’t know because believe it or not I haven’t gotten to them yet. To me he sounds like Ryan Adams, Mumford and Sons, maybe even The Decemberists. “Flame on My Head” is a memorable opener with it’s moaning vocal and strings introduction, urgent guitar strumming, and lyrical catalogue of desires. Up next, “Elephant” kicks the door down the rest of the way with it’s searing, almost siren-like guitar riff. “We Both Know” is the album’s rocker, “Monday” its gentlest moment. The sequencing of the album’s tracks ebbs and flows nicely, and with a third of the twelve songs on HEAVY FLOWERS clocking in at under three minutes, this is an album that is not too long and not too short, but just right on running length. 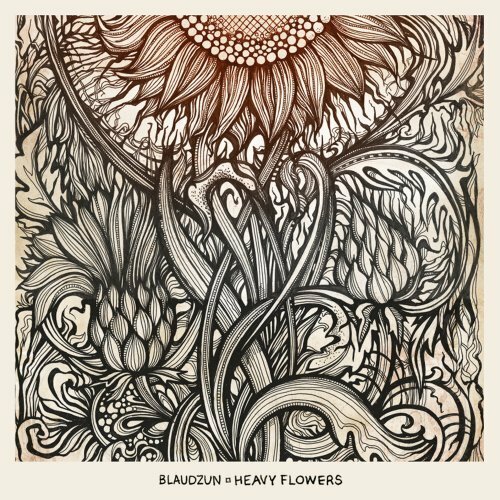 Sometimes Blaudzun’s accent shows through in his vocals, giving his songs a slight twist of the weird or exotic, which is refreshing considering how easily his sound and style will fit right in with so many other American artists right now. I’ve heard that often times underappreciated American musicians find greater success overseas. Reportedly Blaudzun already has something of a hit with this record overseas, so time will tell if this justly appreciated Dutch musician finds even greater success in the U.S. This entry was posted in Album Reviews, You Tube Song Samples and tagged Blaudzun, Elephants, Flame on My Head, Heavy Flowers, Monday, Music Reviews, New Music Releases, We Both Know on January 30, 2013 by Constant Listener.